Note: the availability of a animal is subject to change without notice. Alaskan Malamute or Siberian Husky? 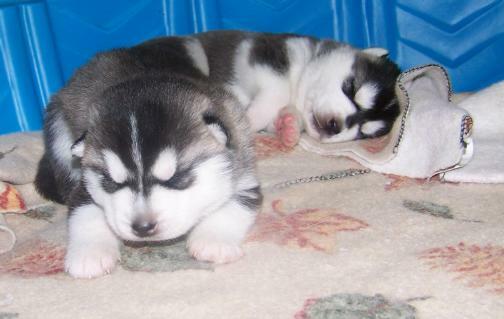 Which breed or litter are you interested in: Alaskan Malamute or Siberian Husky? Please click on one. For More Information E-Mail us by Clicking Here!